The conditioner feels good but didnt help my color. I have very long hair. My hair is about three and a half foot long. It has an all over color on it that is a medium brown color. It also has blonde highlights in it and black tips. It's kind of highlights and ombre meshed together. It's taken a lot of damage from coloring and styling tools. TRESemme has never disappointed me when it comes to their conditioner. They truly do have salon quality conditioner at a very fair price. This conditioner is supposed to be for color treated hair. It's supposed to help repair the damage that color causes and it's supposed to be gentle for color treated hair so that it doesn't strip any color out. When it came right down to it for me, the conditioner was great. My hair had the nice, apple and orange scent of this conditioner and it was soft. I got a good detangling and I didn't have to force my brush through my hair. What I didn't get out of this was any help with my color. It didn't help my color keep from fading. It didn't harm my color but it didn't help it either. The conditioner is great but it doesn't help my color treated hair. I kind of anticipated that because I haven't found any products that really do but it's still a let down. 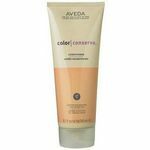 Effectiveness It's a great conditioner but it isn't any help for my color treated hair. Scent It smells nice. It smells like apples and oranges. It smells citrusy. When used in combination with the Tresemme Color Revitalize Shampoo, as recommended, the results are great. Hair color definitely stays locked in longer and looks fresh. I've been consistently dying my hair browns/reds for years and it's been great in keeping those colors looking fabulous. This conditioner extends color but is too heavy for my hair. ***Quick View:*** As a BzzAgent, I sometimes get full sized products to try. I received a 15 ounce bottle of this conditioner and the shampoo of the same name to try. I was hoping this would work as well as [Paul Mitchell Color Protect Daily Conditioner] because it is so much cheaper but it didn't work well at all for me. It made my hair unmanageable, too soft, and look frizzy. ***My Take on TRESemme Color Revitalize Color Protection Conditioner*** This conditioner comes in a one liter bottle and now, a 15 ounce size which I have. The claims are that using the conditioner can extend color up to eight times longer than usual. Phooey. Eight times longer would be impossible. However, I do believe it helps to extend the life of color and doesn't strip the hair. The conditioner is creamy and concentrated. It rinses out well and leaves hair soft. My hair is long, bra strap length, and fine. I have to be careful not to over-condition but to condition enough because I have color, highlights, and use a lot of heated styling tools. It's tough to find a conditioner that is smoothing enough without it weighing my hair down. Unfortunately,**TRESemme Color Revitalize Color Protection Conditioner **does weigh my hair down. It makes it so soft that I can barely style it. And yet, my hair looks frizzy. I tried to use less of the conditioner to avoid the weighed down feeling and look but no matter what, my hair just looked limp. I tried using this shampoo with my usual one, [Paul Mitchell Color Protect Daily Shampoo] , but my hair still didn't look as good as when I use the two Paul Mitchell products together. I won't use this product again. The shampoo is decent but the conditioner is a nightmare for me. I think, if you have coarse or really thick hair, this may work for you. I have a lot of problems like this with conditioners being too heavy for my hair so this one isn't alone in that category. As far as color extension, as I said, I believe it does help to lock color in but not for as long as it claims. Still, this conditioner is cheap and, if it works for your hair type, you could save big bucks over salon products. ***My Take*** **TRESemme Color Revitalize Color Protection Conditioner **didn't work well for me. I tried using less product and varying shampoos but nothing helped. It weighed my hair down and I couldn't do a thing with it. However, I think it helps with color and it conditions. My hair is VERY picky about conditioners. Yours may not be. This could work well for you at a huge savings over salon conditioners or even other drugstore ones. I give it ***2 stars ***because it didn't work for me but will recommend it because it could very well work for you. **** : http://www.viewpoints.com/Paul-Mitchell-Color-Protect-Daily-Conditioner-review-c60c7 : http://www.viewpoints.com/Paul-Mitchell-color-protect-daily-shampoo-review-43dc19 Effectiveness It made my hair unmanageable, too soft, and look frizzy. Extends color some but leaves my hair weighed down and looking stringy. Scent Typical drugstore shampoo scent. Love this TRESemme color revitalize conditioner! I received this conditioner as part of being a bzzagent, I received this to share my honest opinions about and my honest opinion of this conditioner is that it works exactly like it says it does! This conditioner has made my hair soft and manageable it has helped to keep my hair color looking like it did the day I colored it! I typically wash my hair every other day and this conditioner keeps it so soft and looking its best day after day! I was very loyal to a different brand of conditioner for a couple of years and its safe to say I will now be brand loyal to this conditioner rather than the other! This left my hair super moisturized ! I received this product from BzzAgent as a full sized sample. I was excited to try it, but found it to not work for me. The only thing that I liked about this product was the smell. I had just colored my hair two weeks ago, and it completely stripped out my color. It left me with frizzy hair and an itchy scalp. So for me, this was a complete no-go and I would recommend not wasting your money on this, but instead try Pantene's color care line. OK, so there are times where I want to be blond for a while and then switch it up a little by dying my hair brown again. I love getting products specifically for that color, but these days I never know what color I am going to be so I needed a conditioner that would be more versatile for hair colors. I love TRESemme Conditioner for color treated hair because it addresses the special needs that color treated hair has and really moisturizes my dried out strands. 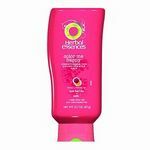 My hair always feels smooth and silky after I use this conditioner. It also comes in a decent size bottle so I am not running out every week to get conditioner since I have long hair. This is a great conditioner to stock up on. Plus you can't beat the price. I really like this Tresemme' Vitamin E & Aloe Color Revitalize Conditioner, it leaves my hair soft and shiny and I trust Tresemme' as it is used by hair care professionals, it keeps my color fresher and lasting longer. Smells very nice too. This formula contains a UV filter so the sun does not fade your color, it does not weigh down hair or make it limp or greasy looking, the only down side to this conditioner so far is having to leave it on for two to three minutes but if you have the time and patience then this conditioner works great for the money and last a really long time with this thirty two ounce bottle, this conditioner never lets me down, and I trust this company. 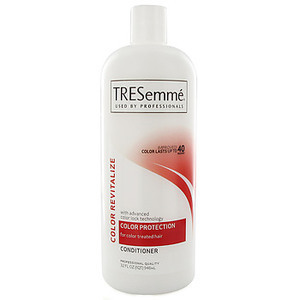 I recommend Tresemme' and have recommended it to some friends and family.